The men’s and women’s national chess teams of Armenia have got off to a good start in the European Team Chess Championship being held in Warsaw, Poland. The women’s team, including Elina Danielian, Lilit Mkrtchian, Lilit Galojan, Maria Kursova and Anna Hairapetian (coach Artur Chibukhchian), beat all of their three opponents in the three opening rounds (Croatia - 3 ½ - ½; Belgium - 3 ½ - ½; and Poland III – 4:0) and are now in first place among 32 nations with the maximum number of points. 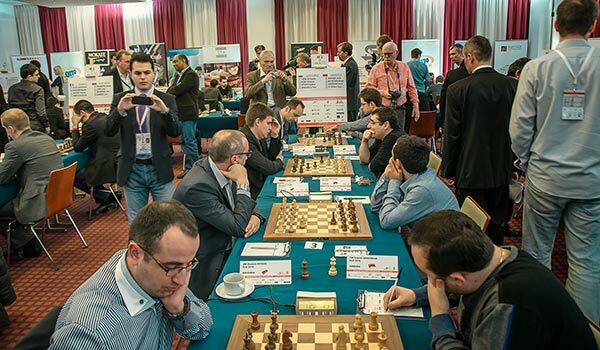 The men’s team consisting of Levon Aronian, Sergei Movsesian, Vladimir Akopian, Gabriel Sargissian and Tigran L. Petrosian (coach - Arshak Petrosian), meanwhile, drew with Bulgaria in the opening round 2-2 before beating Montenegro 2 ½ - 1 ½ and Austria 2 ½ - 1 ½ in the second and third rounds, respectively. With five points in three matches Armenia’s men’s team share 3rd-6th places with Hungary, Georgia, Greece and Azerbaijan. In Round 4 scheduled for Monday Armenia’s men’s team’s opponent is Ukraine, while the women’s team play against Poland. The championships in Warsaw will go for nine rounds and will end on November 18.